St. Scholastica will launch its 2017-18 Peace and Justice lecture series with a free presentation at 7:30 p.m. Thursday, Sept. 28 in the Mitchell Auditorium on campus. The theme for this year's speaker series is "Sustainable Living." 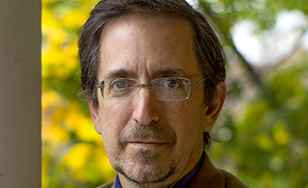 Andrew Revkin will give the inaugural talk, "Ending Life As We Knew It." Revkin has written on a range of subjects including destruction of the Amazon rain forest, sustainable development, and climate change, particularly as it affects the North Pole environment. Last year he became senior reporter for climate and related issues at ProPublica, an independent investigative newsroom. Before that, he was a reporter for The New York Times from 1995 through 2009 and wrote the Dot Earth environmental blog for the Times Opinion Pages from 2010 to 2016. All presentations start at 7:30 p.m. in the Mitchell Auditorium and are free and open to the public.